Hi! 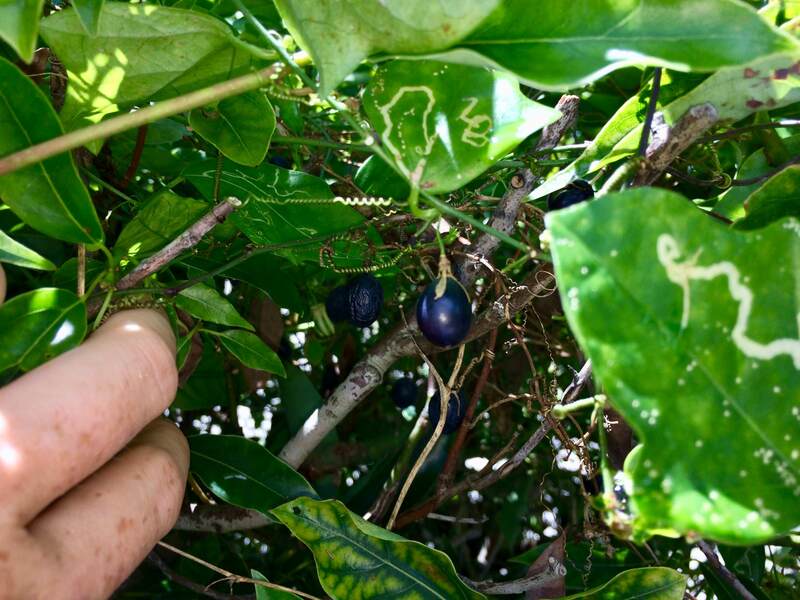 I recently found this berry vine growing in Tarpon Springs, Florida. 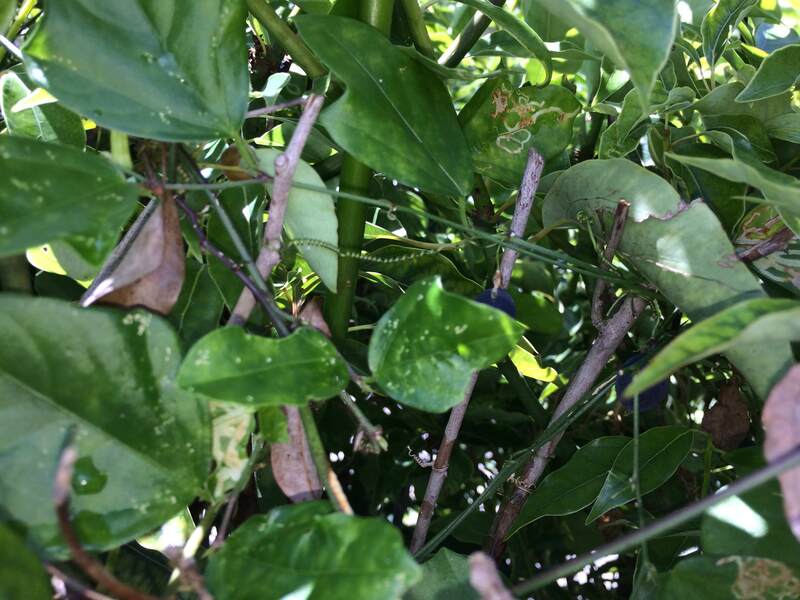 The shrub that the vine is climbing appears to be Illicium (‘Florida Sunshine’ or ‘Purple Glaze’), although I am not positive. I thought the vine may be Yellow Passionflower, although it doesn’t seem to be an exact match. 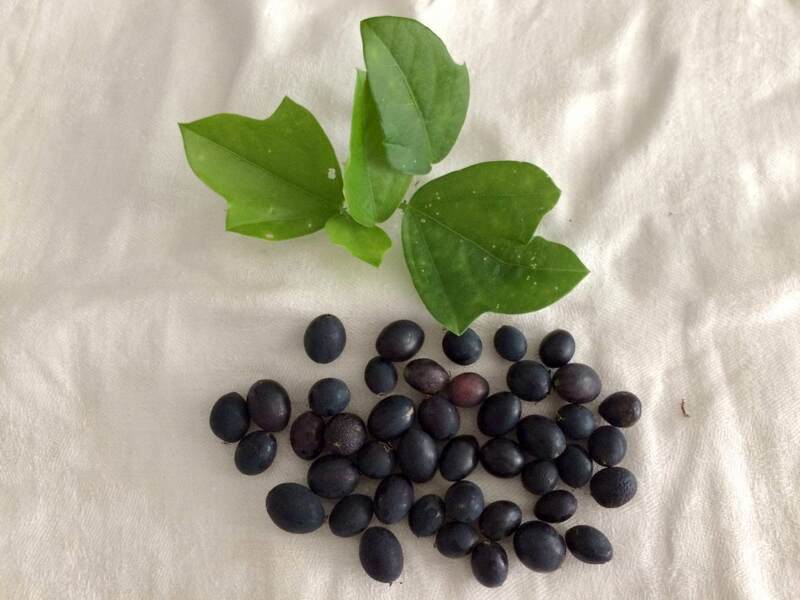 Berries are dark blue/purple and mostly oval shaped. They produce a strong dark purple dye/stain. I am not going to try to eat them. I am just curious as to what kind of berries these are. Thank you for any assistance. 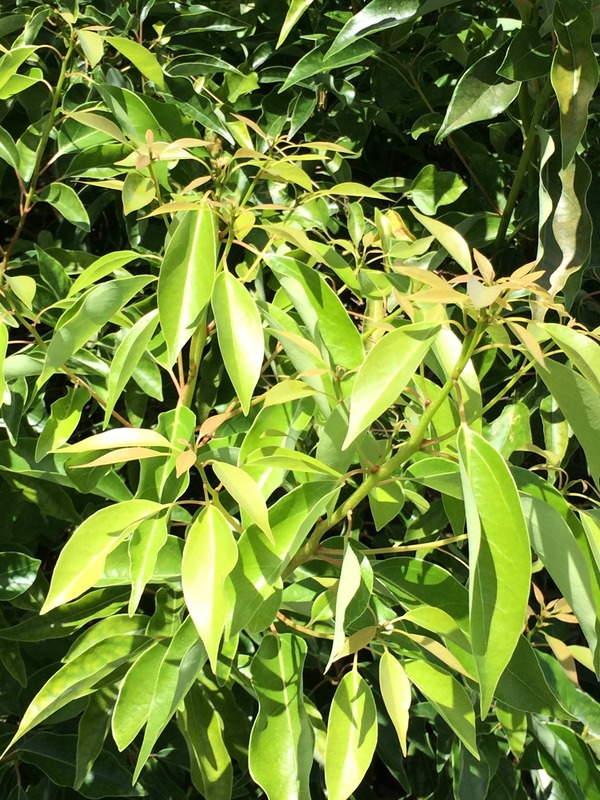 Is that a tree, a bush or a shrub? Says vine in the title. 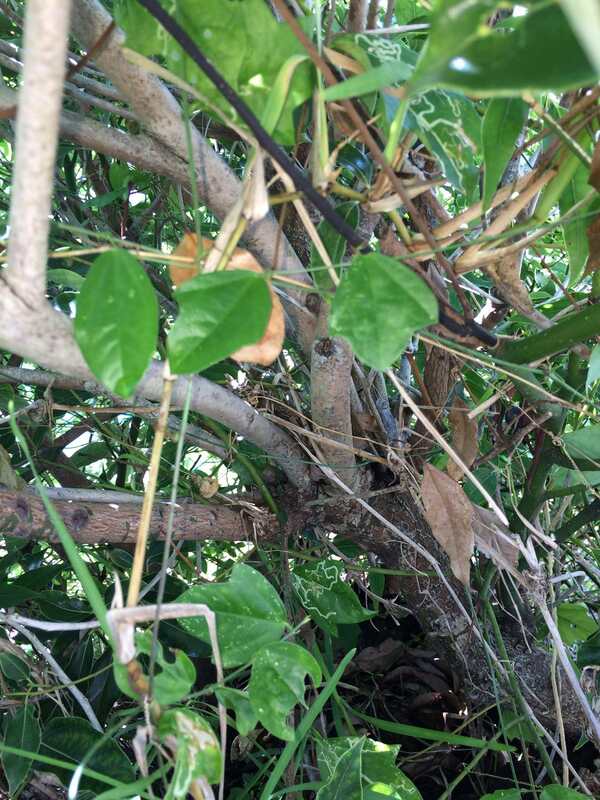 Florida has too many poisonous plants for me. They even have a tree that if you sit under in the rain, the water dripping off the leaves will give you a poison ivy rash. Oops. Totally missed that. Mea Culpa. I have some pretty good reference material but I can only get close, which might as well put me on Pluto. The only thing I can suggest is take a sample to your county extension service. I do not know Florida berries. Sorry.